This page contains the answers to some other frequently asked questions (alias “FAQs”), not already answered elsewhere on the site. First, here’s a list of the questions it tackles. Either click on the relevant question or scroll down the page to find the corresponding answers. What does Pilates do that other types of exercise don’t? What are the history and origins of Pilates? Am I the right age to do Pilates? Is Pilates the only form of exercise I need to take? How do I know whether my Pilates teacher really knows what he-she is doing? Is Pilates just another exercise fad? Long popular among dancers, gymnasts and others who knew of it, Pilates has now been discovered by a wider public – from those who want a stronger back or flatter stomach to those with specific injuries or medical problems that Pilates can help; or else, simply those who want to get fit or de-stress. Pilates is a gentle, non-aerobic exercise method, which lengthens and strengthens the muscles, and improves posture, without stressing the joints or the heart. 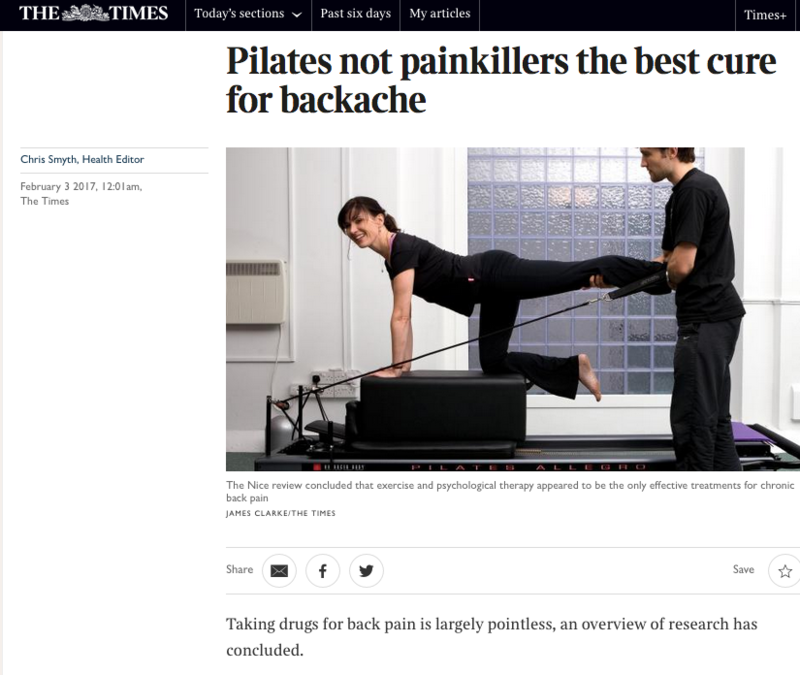 Indeed, physiotherapists, osteopaths, chiropractors and doctors now recommend Pilates as one of the safest forms of exercise available. You can learn Pilates either in group sessions, known as mat classes, or in a dedicated studio – like Pilates Central – with expert teachers and specialised, spring-resistance equipment, designed to tone and strengthen your muscles, while placing minimum strain on the joints. What does Pilates do that other types of exercise don't? Whereas other forms of exercise often cause injuries, our Pilates exercises not only cure injuries but are themselves so controlled and low-impact that they are extremely safe – if taught, that is, by a properly trained instructor. What’s more, the awareness of your body that they develop enables you to avoid the same injuries or problems recurring in the future. Returning to Germany after World War I, Pilates worked with pioneers of movement technique such as Rudolph Laban, who created the basic system of dance notation still used today. The Pilates method did not return to Britain until 1970, when it was brought back to this country by Alan Herdman, after the latter had been asked by the London School of Contemporary Dance to visit New York and investigate the methods of Joseph Pilates. Herdman established Britain’s first Pilates studio at The Place in London that year. ‘Joseph Pilates, Exercise Pioneer’, an exhibition of photographs by I.C. Rapoport, is currently receiving its world premiere at Pilates Central. The best way to start is by giving us a call and coming to see the studio in action. Our instructors will continue to work with you as you progress and start to reap the benefits. Please see our Times and Prices page for more information. Up to 90 minutes each. Private sessions last 60 minutes. Pilates Central offers equipment-based Pilates rather than mat or group classes. So, we assess you as an individual and then design a bespoke programme to meet your precise needs. You then follow your own programme under the supervision of our teachers. Beginners get almost individual attention from teachers. Up to four clients start their session at any one time but each follows his/her own bespoke programme. The studio typically contains between five and 10 clients exercising at any one time. People do Pilates anywhere from once a week to once a day – but twice a week is common and what we suggest for most clients. Even if you just take just one session a week, you should try to do at least a few minutes of Pilates – whether at home or work – on a daily basis. Please see our Location page for more information on how to find us. Pilates is still popular with dancers, gymnasts, athletes and others in their physical prime but it is equally suitable for almost any age. Indeed, one of the beauties of Pilates is that we tailor it to suit each person, whatever their age or physical condition. Many of our clients are middle-aged or elderly. Indeed, more than a few start doing Pilates specifically because they have reached ‘a certain age’, realised that they no longer take any exercise and suddenly thought, ‘My goodness, I have to start to do something, or else I’ll fall apart’. Older clients still might have to ask medical advice before taking up Pilates and to start more slowly. Many people, however, do Pilates into their eighties and nineties. A properly tailored Pilates programme is one of the best-known ways to ward off the infirmities of old age. Joan Bakewell, the writer and broadcaster, swears by Pilates for this reason, among others. In fact, almost a third of our clients are male, as are countless celebrity devotees of Pilates, from Hugh Grant to Martin Amis, John Cleese, Ian McKellen, David Beckham and an ever-growing number of famous footballers, rugby players, cricketers and other professional athletes. No, you should also take some form of aerobic exercise, such as walking, running, cycling, tennis or swimming – but preferably done in a way that does not place damaging strain on your body. In fact, we have an exercise bike in the studio, specifically for the benefit of clients who want to follow their Pilates session with some form of aerobic exercise. One way to get some idea is to observe whether your teacher places emphasis on such crucial factors as positioning, concentration and breathing. An even better way is to ask what training they have done. Our instructors have done a long and rigorous training, which is more like an old-fashioned apprenticeship. Pilates also focuses more on strengthening the deepest layers of abdominal muscles, which form a corset around your torso. If you have the time, there is no reason why you should not do both and get different benefits from each. Joseph Pilates always said that his method was 50 years ahead of his time The current growth in popularity of Pilates is simply the fulfillment of his longstanding prediction. In fact, many women first discover Pilates and become clients here either when they are pregnant or have just given birth. We don’t offer separate classes for either pregnant women or new mothers but what we do instead is something much better and more customised, which is to design a tailored Pilates programme to meet the precise, individual needs of each woman. We then help her follow and adapt it at each new stage. You may need to do Pilates in a modified or gentler way while pregnant, and to make sure you stop the moment that you feel any discomfort.